I enjoyed the last book quite a lot, so I was excited to get my hands on more from Lagercrantz. The Girl Who Takes an Eye for an Eye is fascinating. The novel was impossible to put but I still have some critical remarks. You can tell that Lagercrantz put a lot of effort into the research, but ist still doesn’t feel as intricate as the predecessor. First of all, some parts of the story feel a bit thinner in comparison. Moreover, some parts only seem intricate when you don’t know much about it. Let me give you an example. There was a lot of stuff about music in the book, so I actually talked to someone who studied jazz guitar. His remarks were a bit disenchanting, leading me to think that Lagercrantz my not know quite as much about the topic as he wants us to believe. Nevertheless, The Girl Who Takes an Eye for an Eye is a thrilling story with many interesting plot turns. I had three different endings in my mind but I kept guessing right up till the final pages which it might be. To be honest, I was a bis disappointed that Lagercrantz settled for a happy end – I would have expected something darker. 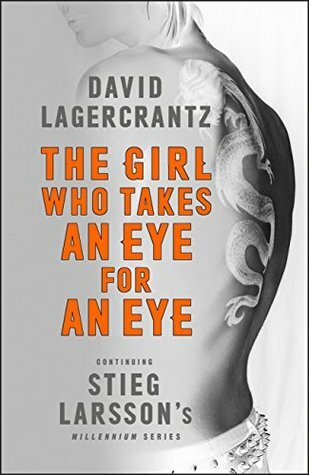 The Girl Who Takes an Eye for an Eye is not quite as good as Lagercrantz’ first Millenium novel or Stieg Larsson’s books. But it still is hell of a ride, so go for it!